Have you downloaded Windows 10 recently and facing problem to disable automatic updates? Lately Windows have been trying to operate more like Google Chrome or any web based application wherein the users don’t have the option of turning off the updates manually. But the security updates which is forcefully pushed by Microsoft tends to break the software and its drivers thereby slowing down the functionality of the entire operating system. Microsoft in fact is trying to ensure secure functionality for Windows 10 users wherein updates of Windows 10 will automatically get downloaded. When the user clicks the reboot option or later schedules reboot, these updates will automatically get installed in the Windows 10 OS. Microsoft through their latest release of windows 10 has in fact cut down the freedom of the users to turn off the updates completely. The conventional method of turning of windows updates through control panel setting no longer works with windows 10. Windows 10 enterprise users are at advantage this time as they have at least an option to delay updates. While for Windows 10 home and Professional users the updates will be installed without user consent. They are left with the only option of scheduling the restart of PC after the updates. 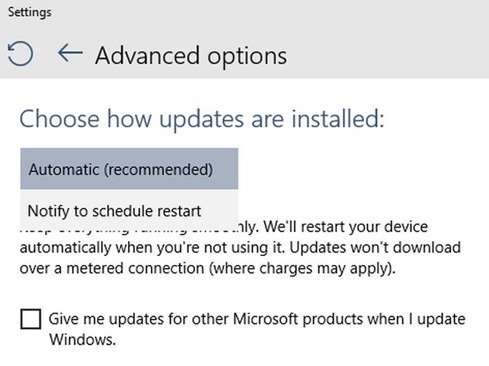 Fortunately there is a simple workaround to disable Windows 10 automatic updates by following the steps below. 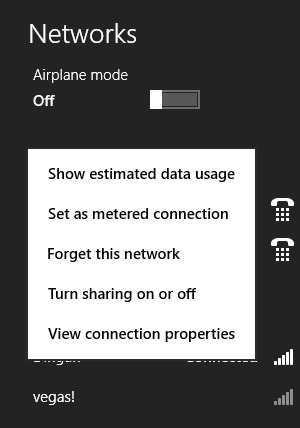 Method One : Settings Internet Connection as Metered. This method works when you’re connected to internet through Wi-Fi. Right click on the Wifi network and set as Metered. This will prevent Windows 10 from automatically download the updates. 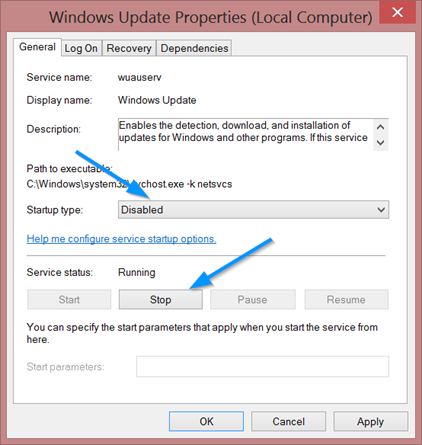 This Method will completely disable Windows from installing automatic updates by disabling the windows update service. In Run (Press Windows key + R), type Services.msc and press enter. Windows service window will open. Search for Windows Update service fro the list. Right Click on Windows Update from the list and select properties. In Properties Window Select Startup type as Disabled and Stop the Service. Once Update service is disabled, Windows 10 will not be automatically installing or downloading updates. When you want to update windows 10 at a later point of time, follow the same procedure and start the windows update service. If you have any other workarounds for turning off Windows 10 updates, do let us know through comments. When Windows update is disabled it will show as Retry! It’s normal.